One of the best parts of being a photographer is developing lasting relationships with clients. It’s an honor to share your milestones and memories, to capture your joy and celebrate your successes. One of the latest of these came in an absolutely adorable bundle of joy (with some seriously awesome hair) named Maya. Her proud parents are Amanda and Derek, one of our amazing wedding couples who helped us create some unforgettable imagery with their epic bridal party pool jump. 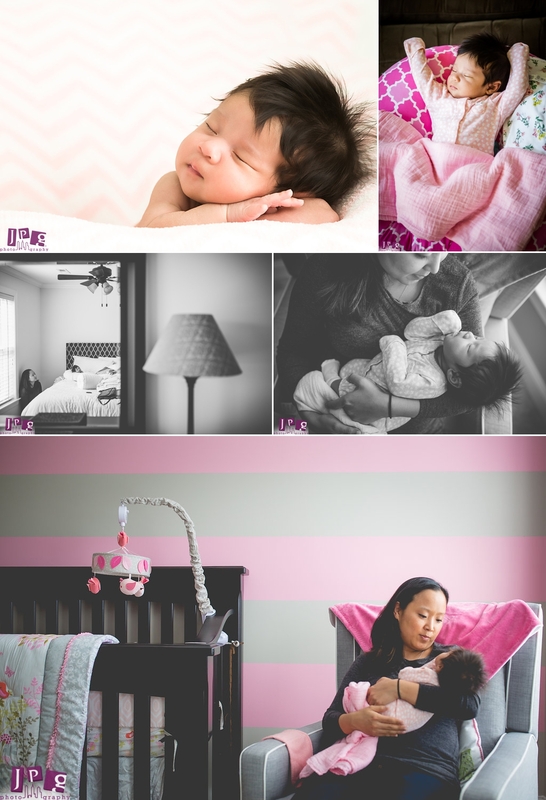 Maya’s newborn and lifestyle session was in the family’s home in Plymouth Meeting, PA, and highlights the versatility of JPG family photographers. 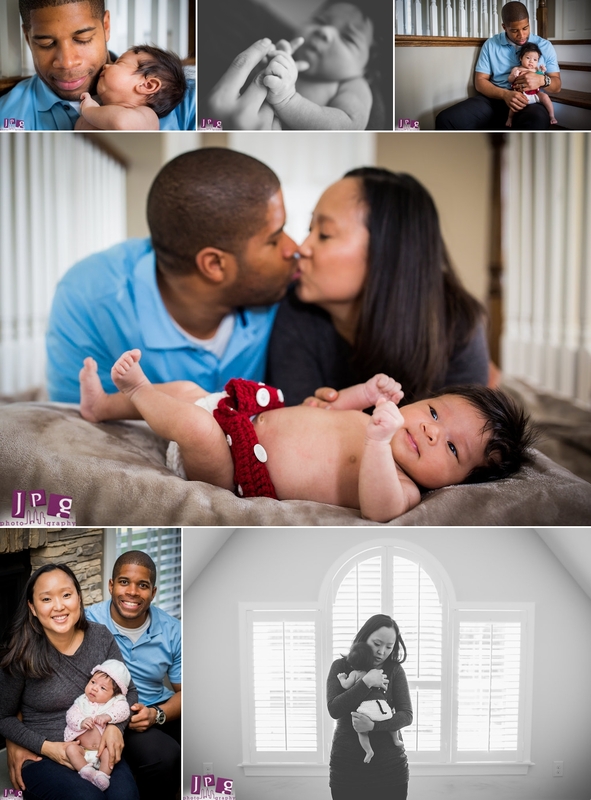 Our clients can receive beautiful newborn portraits along with the JPG photojournalism style they love. Newborn photography is made to look effortless. Put an adorable sleeping baby in a basket, take the picture, repeat. Piece of cake, right? But as any new parent can tell you, getting a newborn to cooperate, especially when it comes to sleep, can be an unpredictable and arduous task. Nevertheless, one of today’s newest and most popular trends in portrait photography is the sleepy, dreamy newborn images that parents have come to adore. Newborn photographers need to be on point with more than just a camera; they must be able to safely handle and pose small bodies and keep them settled. That’s why they are quickly becoming known as baby whisperers. 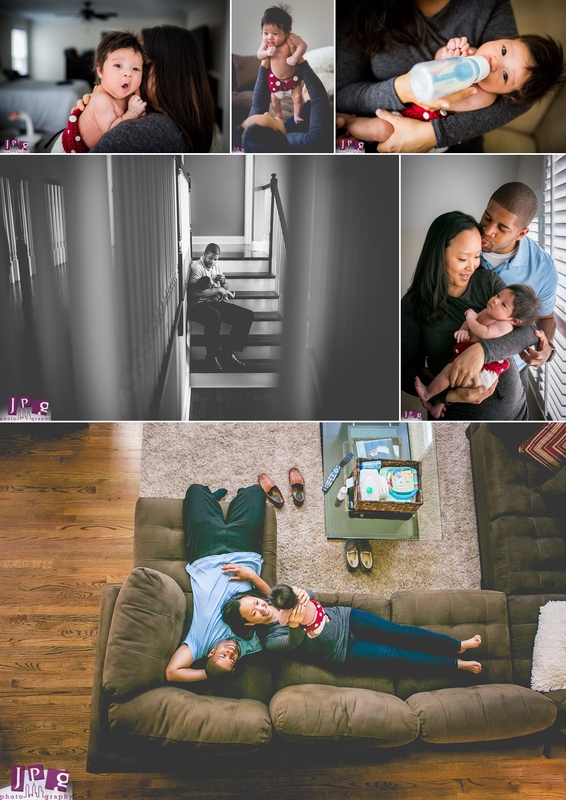 I am excited to be the local baby whisperer at JPG Photography, and even more excited that this type of session maintains a lifestyle component, staying true to the JPG style. In Maya’s session, Joe documented Amanda and Maya in the nursery while I set up the posed portrait component of the shoot. 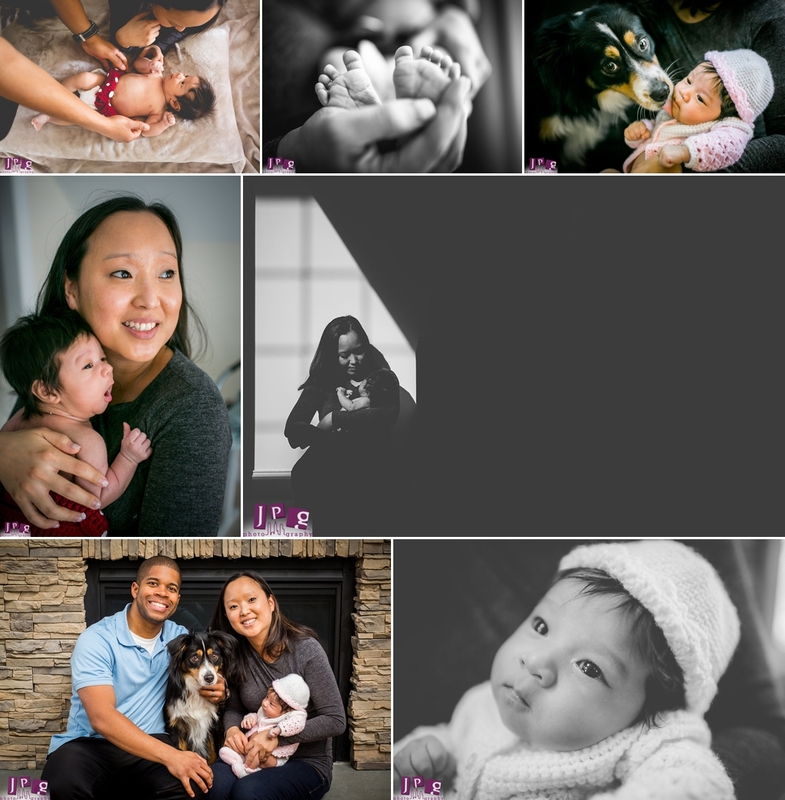 After we got our posed shots, we captured a mixture of family portraits and candids of Maya being changed, fed, and played with. 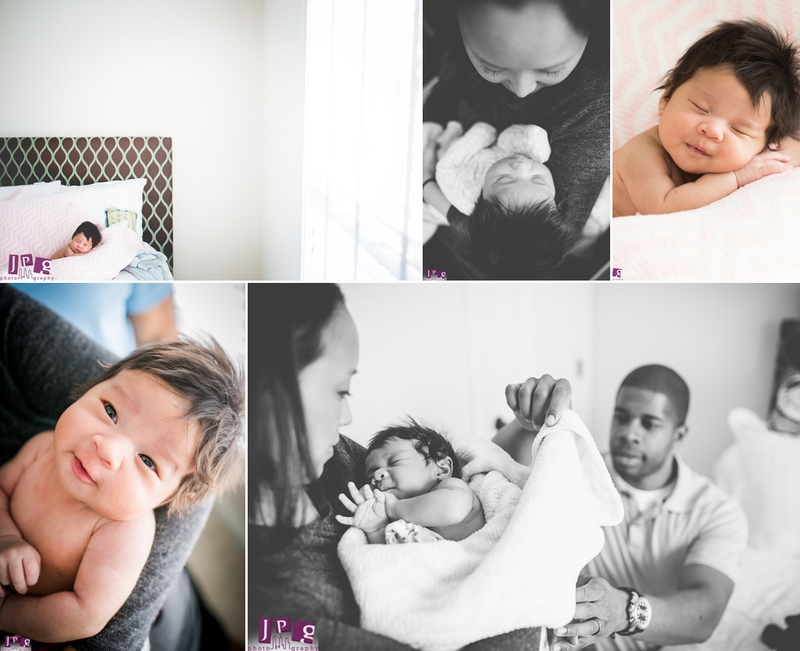 I truly believe JPG Photography newborn sessions are something special. Our clients are getting the best of both worlds in regards to portraits and photojournalism. The results are stunning images that can be hung as art or held onto as reminders of how life was during this fleeting time in a family’s history. We’re here to help the beginning last a lifetime, and hope to hear from more of our couples as they begin exploring the unchartered territory of parenthood. On a final note, to all the new mamas and papas out there, if you don’t have a baby whispering photographer nearby, there is still hope to quiet that crying baby. Harvey Karp’s 5 s’s will quickly become your new best friends. I know I would have been lost without them in those early days. Congratulations to Amanda and Derek on the birth of your beauty. And Maya, welcome to the world. You have the best newborn hair I have ever seen!